Carrie S. Forbes - Gingerlemongirl.com: A Grand Prize Recipe - Those seriously good chocolate chip cookies! A Grand Prize Recipe - Those seriously good chocolate chip cookies! A couple of months ago, Elizabeth from www.glutenfreebaking.com, announced that she was hosting a gluten free recipe contest. 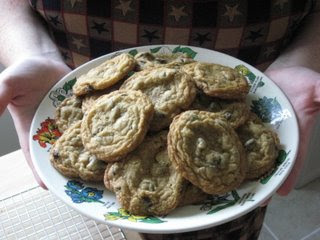 I decided to enter several recipes, but the first one I entered was for my original chocolate chip cookies. I had actually forgotten about the contest and there were SO many entries (hundreds, apparently!) that I thought I really didn't have much of a chance to win. Well, needless to say Elizabeth made my day! 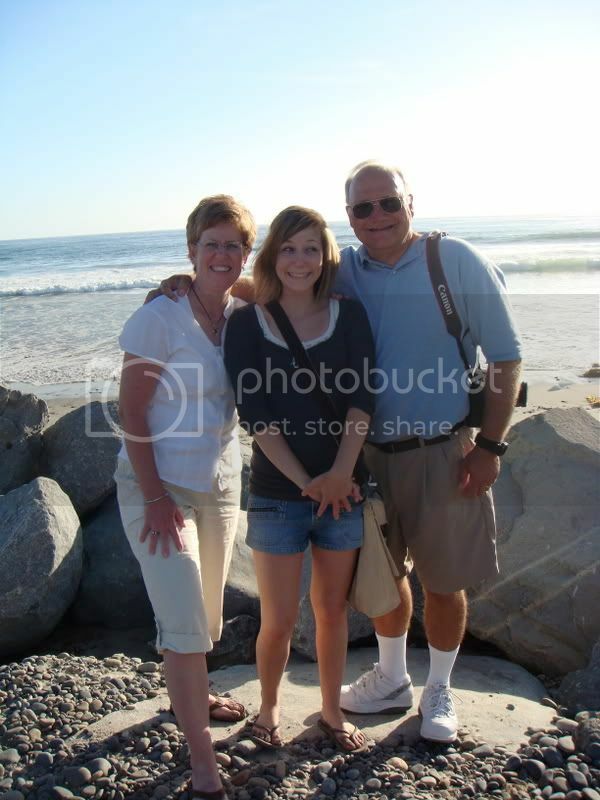 Make sure to check out Elizabeth's great gluten free site! For the grand prize, I get six month's free membership on her wonderful website, and I get a free copy of her cookbook, Easy Gluten Free Baking. I can't wait to make a few of these recipes and I'll share them with you if it's okay with Elizabeth! Preheat oven to 350 degrees. In a large bowl: cream butter with sugars until light and fluffy. Add egg and vanilla. In a separate bowl mix together flours, salt, xanthan gum (opt. ), baking powder, and baking soda. Slowly add flour mixture to butter and sugar mixture. Last, mix in chocolate chips. Place golf-ball sized dough portions 2 inches apart on an UNGREASED cookie sheet. Bake 7-9 minutes or JUST UNTIL edges are light brown. UPDATE: These cookies WILL RUN if you choose to use all butter, or margarine, and leave out the shortening completely! If you choose NOT to use shortening, make sure to refrigerate your dough for several hours before baking, this will help to alleviate the cookies spreading too much. Also, the size of the dough placed on the cookie sheet needs to be about 2 tablespoons worth of dough, not necessarily the size of a golf ball, as stated originally in the recipe! Make them as large or small as you desire -- you will have to cook them longer if they are larger!! It also helps to bake these cookies on a silpat mat or parchment paper to prevent spreading. Way to go Carrie!! Congratulations! Congratulations Carrie! I think all your recipes are winners! Carrie! That is TOO COOL! Congrats! 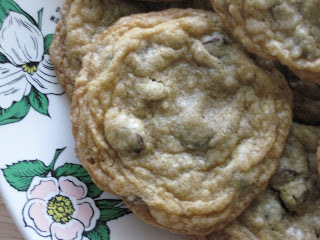 Ditto, Jeanine -- I am totally craving a chocolate chip cookie now. A huge congrats to you Carrie! I'm so happy that I found your blog those few months ago. Your cookies are my favorite! Congrats, Carrie! They look wonderful. I wish I could eat sorghum...but alas I can't. Woo Hoo! Congratulations! I'm so happy for you! Congrats. Those don't look GF at all!!!! Question... have you thought of/tried Earth Balance Shortening instead of regular shortening? Just wondering because we try to not bring anything artificial into our daughters, especially my 6 yo's who is esp. sensitive to chemicals. I think we will probably try them out with Earth Balance and see, and if they aren't as fabulous, I may have to cave and use the regular ole Crisco. You rock BTW, glad to have found you via Gluten Free Frugals site! Wow, Carrie, grand prize- congratulations! I'm not surprised- all of your recipes are amazing! Looking forward to trying this one- I'm with you on the shortening, we try not to use it as well, but we do have a small container of the butter crisco in the cabinet (one of those let's-use-it-up-and-not-replace-it items)- now I know what to use it for! Congrats Carrie! You're famous! I still haven't made them, since i don't bake much, but I promise to make them soon! Congratulations, Carrie! I can't wait to try that recipe again. I'm so happy for you about the award! These are really great cookies. I just made about 6 dozen to hand out at a family reunion to introduce them to gf baking. No one know the difference. And many went back for more they were all gone in 2-3 days. Now for the shortening I used coconut oil. And they did not run on me I had nice fluffy cookies. Coconut oil can take high heat unlike gf shortening. Also use have the amount if a recipe calls for 1/2 cup use about 1/4 cup coconut oil. Works great. Hey there, we can't do rice...do you have any other sub suggestions? Thanks!